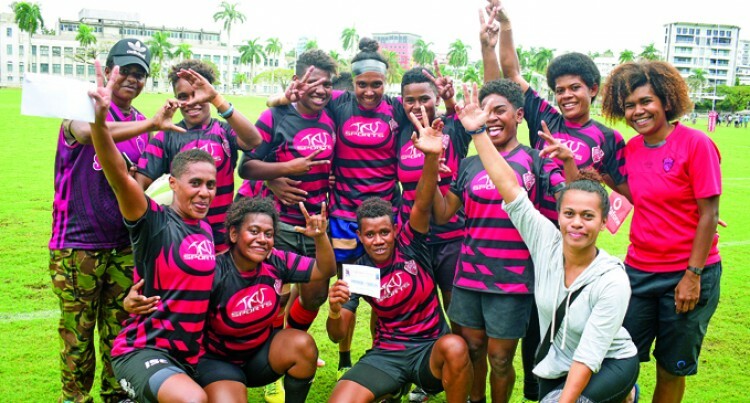 Striders won the Suva women 10s com­petition after walloping Marist Sea Hawks 38-10 in the final at Albert Park yesterday. Striders received $800 while Sea Hawks set­tled for $500. Striders captain Timaima Ravisa was proud of the players’ performances. “Sea Hawks are the defending champions and I’m happy with our new players playing against veterans Ana Roqica, Lavenia Tinai, Mere Leawere,Roela Radiniamuni and Jo­maia Sera. “Veterans in our team include Akosita Ra­vato, Asinate Savu and Luisa Basei,”Ravisa said.